The holiday gift guide extravaganza continues! Now that Thanksgiving is just around the corner, I have really started thinking about gift-giving. I try to get as much shopping done before the season gets in full swing, so let’s get down to business. 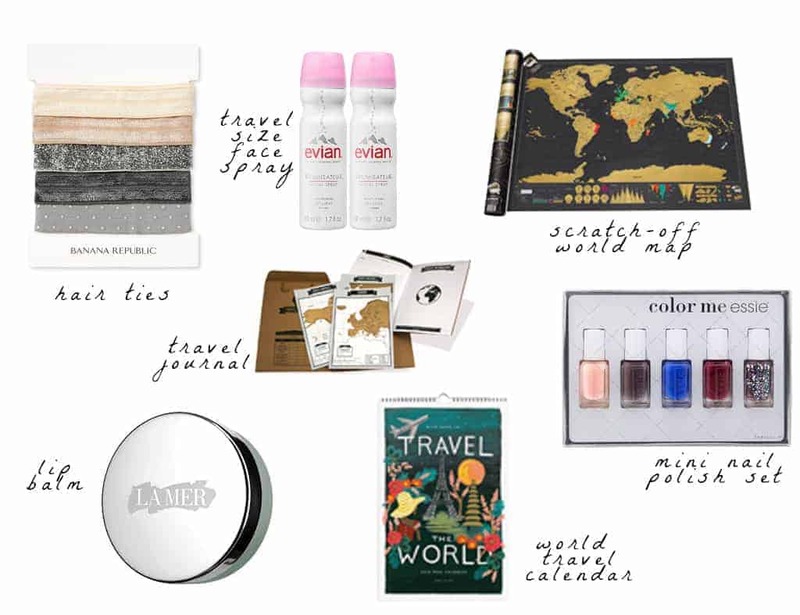 Today I’m featuring Travel Gifts for Women under $50. Yep – gifts that are perfect for your best friend, boss, co-worker, sister, mom – pretty much anyone who is likely to jump on a plane at some point in 2015. 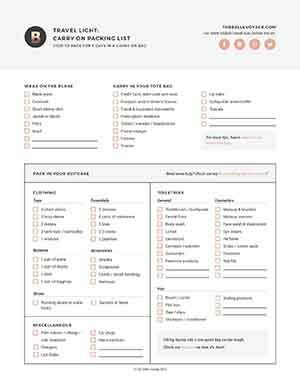 If you need more ideas and haven’t seen my first three gift guides, I’ve been highlighting a theme every week that showcases my travel gift ideas, with each week focused on a specific theme or topic. Week one featured travel accessories, week two was all about beauty-related gifts, and last week’s post introduced you to some tech accessories that actually have curb appeal. And if you’re shopping for HIM this year, check out my roundup of the best travel gifts for men. Need more ideas? Check out some of my recent favorite stylish travel finds. Truthfully, it was really hard to narrow down my picks to only two collages for this post! It seems like everyone in the world of retail is jumping on the jetsettin’ lady bandwagon, because there are so many cute gift ideas out there that are perfect for women who travel. Not that I’m complaining or anything. Here are a few ideas to help you get started shopping – whether you’re shopping for yourself (guilty) or others!